This chapter follows the 1976 presidential race. Gerald Ford failed to woo the support of many conservatives and almost lost the nomination to Ronald Reagan. It explains Jimmy Carter’s rise to defeat better-known Democrats for the nomination and his victory over Ford. 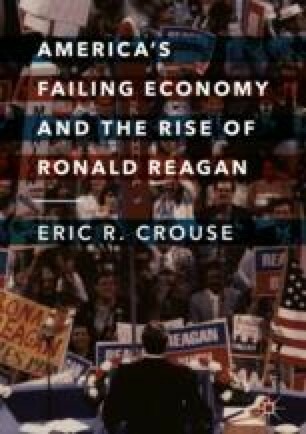 Although voters gave Carter no rousing endorsement, the Democratic Party was set to fix the economy for the American people who expected the government to have solutions to ensure healthy economic times.